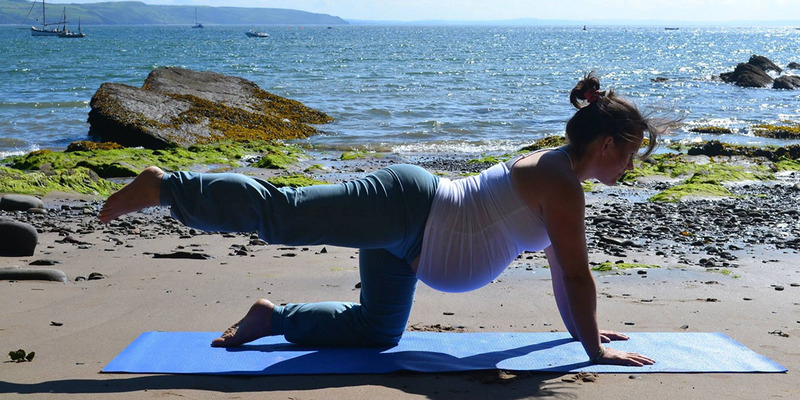 Practicing yoga during pregnancy can help mothers find much needed relief, not only through reducing stress and instilling calmness, but also in helping to strengthen the body, release any tension and maintain good prenatal health. During labour yoga also helps mothers to focus and regulate her breathing when labour contractions begin and supports optimal birthing positions. Breathing techniques (pranayama) to support mothers during pregnancy and birth. Mindfulness meditation, deep relaxation and visualisation techniques to support a calm and gentle pregnancy and birth. Posture work (asana) to maintain a strong and healthy body and / or support certain prenatal complications. Advice and guidance for birthing partner and yoga therapy techniques. This course is designed for 1-2-1 or small groups. If you would like further details then please contact Kerry below. Perhaps one of our initial concerns as a mother is to get our body back in shape. As your strength gains you can build up for a more dynamic practice but during those early days the key is being aware of what your body needs and nurturing yourself in the process. 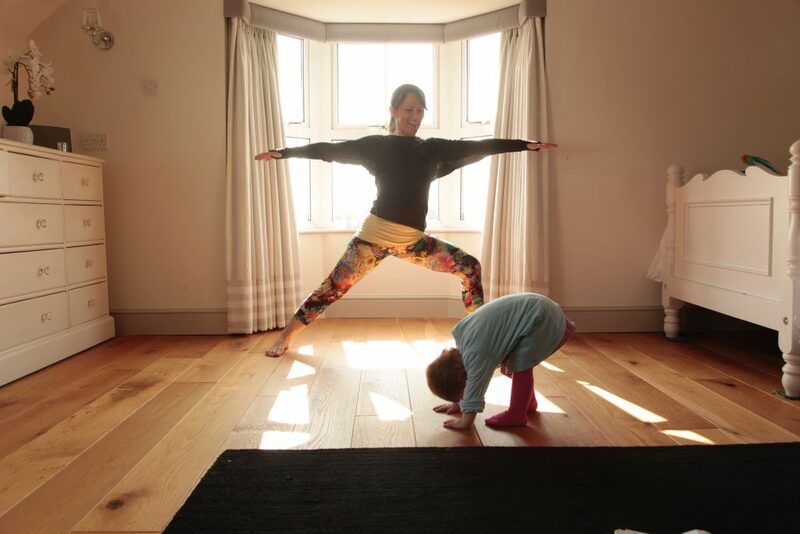 Post natal yoga offers an excellent opportunity to reconnect with yourself, your body, your baby and bring that little bit of calm into your life. Kerry knows first hand that attending a yoga class with a newborn baby may not always be possible. 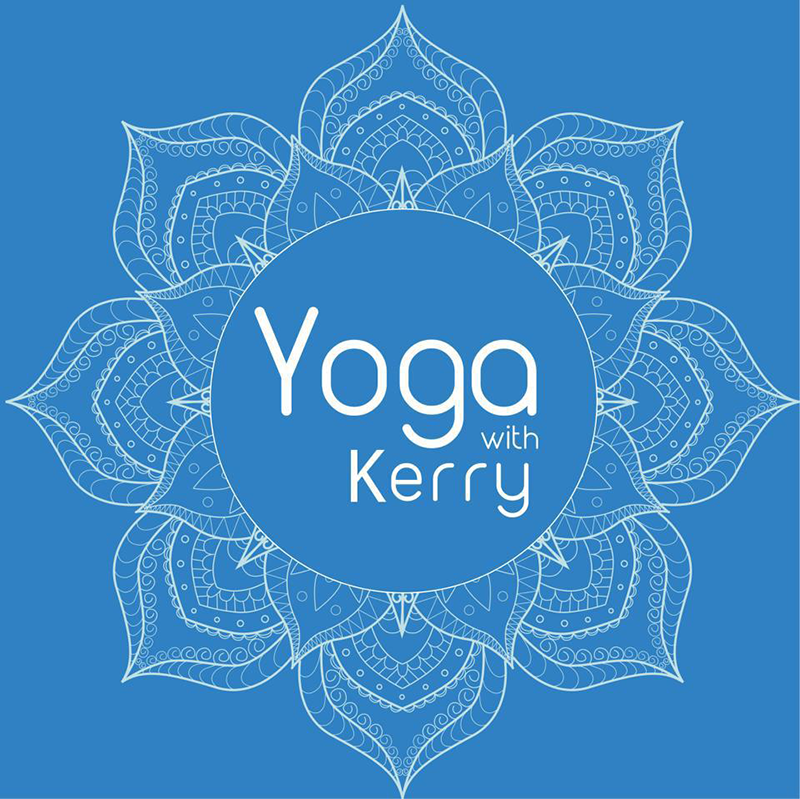 With this in mind Kerry offers private postnatal yoga and baby massage sessions, which are totally personalised to your needs, held in the comfort of your own home and a familiar environment for baby. During a session Kerry will focus on strengthening the pelvic floor muscle, re-aligning pelvis and spine and re-building core strength. Whilst the baby massage not only enhances the mother and baby bonding experience but it can also help ease colic, constipation, promote better sleep, improve baby’s circulation, co-ordination and mobility. Leaving mother and baby relaxed and calm to enjoy the day ahead. If you would like further details or to make a booking then please contact Kerry below.